← Join me at the “Pinney Mini” Book Festival on Saturday, September 23! In Madison? Join us on October 2nd for the fourth anniversary of our memoir salon, “First Monday, First Person”! We meet at 6pm at the Goodman South Madison Library Branch, 2222 So. Park Street. We enjoy light refreshments and stories until the librarians chase us out, close to 8pm. Writers in the first person sign up on arrival to read. Listeners are just as welcome as readers–we all need an audience! This free salon meets on the first Monday of every month. Hence the name, First Monday, First Person. This salon grew out of my “Remember to Write” workshops, which I’ve conducted at the South Madison library and other libraries and senior centers around Madison, since 2004. By four years ago these free “get started” workshops for beginning memoir writers had gotten so popular that when I would announce registration opening for the next workshop, it would fill up within 15 minutes. Repeat students wanting to continue were leaving few seats open for new students. What to do? That’s when I remembered a suggestion received in 2002 from Kitty Axelson-Berry, founder of the Association of Personal Historians and of Modern Memoirs in Amherst Mass., one of the first professional personal historian services. We’d just met at my first APH conference. She told me she conducted a monthly salon, called First (Whatever Day), First Person. That it worked to build community and raise awareness of her business. And besides, it was just damn pleasant. “I’ll do that someday,” I thought. So there I was in 2013, unable to fit more “Remember to Write” workshops into my schedule and unable to fit more students into my existing classes. Time to start a salon, I realized! I would start a “three repeats, then graduate” policy for the workshops. Graduates would become the core of the salon, our place to keep in touch with each other and with our writing intentions. Because what does every writer need? A deadline and an audience. The Goodman South Madison Library offered me a meeting room available on Monday nights, and thus First Monday, First Person was born. Indeed, my former writing students have become the core, but others have found their way to our table, and their talents expand and inspire us. For more about my workshops, see this page–and the lovely video there that Gretta Wing Miller made for me to help promote a Power2Give campaign to fund workshops a few years ago. I think you’ll feel the power. Join us, if you’re in Madison and free next Monday! And if you’re not–well, that’s why True Stories, Well Told exists. This is where, as a virtual community, we keep in touch with each other and with our writing intentions. 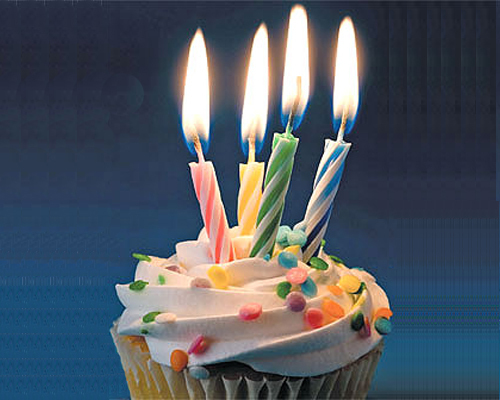 You can help me celebrate this anniversary–and keep this blog well-stocked with true stories, well told, while I pursue my time-consuming Big MFA Adventure–by submitting your writing. Submission guidelines here. This entry was posted in Call for action, Sarah's memoir, writing workshop and tagged #mfa. Bookmark the permalink.